I liked Laura before Trump became Prez. She seemed like a nice person and fairly rational for a righty. But now that she's in the tank for Trump she doesn't seem so nice. Everyone that has drunk the Trump Kool-Aid has become poisoned. TRANSLATION: She's kicking our butts too, just as Trump is, and we still can't come up with any coherent responses. Like, the 80s were totally tubular... stop being Grody to the max! … In a disturbing illustration of what can happen when one person takes a message of hate and incitement to the Internet, the Big Lie of Israeli organ harvesting for profit has again resurfaced and gone global practically overnight, according to the Anti-Defamation League (ADL). Claims that the Israel Defense Forces mobile hospital unit in Haiti may be involved in stealing organs were first made in a video posted on YouTube by a Seattle man who identified himself as "T. West" of "AfriSynergy Productions." ]The allegations in his video spread globally in less than a day – a phenomenon that ADL said "demonstrates both the power of the Internet to spread disinformation, and the ability of any individual to disseminate the Big Lie with ease." YET SHE CONTINUED WITH HER BLOOD LIBELS EVEN AFTER HER SOURCE WAS REFUTED. She has also equated Israel with Nazi Germany. It is ironic that someone of her hateful history even dares author a thread like this! Well, it is her brother so he would know cold hearted Laura better than you Crooked Trump supporters. Blood is thicker than water. Conservative parents disowning kids who pursued interracial relationships. My mom, for example, even said she'd disown me if I ever pursued such a relationship . . . .
Why are you bringing that up in this thread, and how's opposition to adultery supposed to be wrong? This would go right along with the typical liberal tactic of inditing or condemning any given person for the actions, beliefs, thoughts, or crimes of their parents, grandparents, or ancestry. Your grandpa stole a candy bar? You are guilty if theft. Not at all. 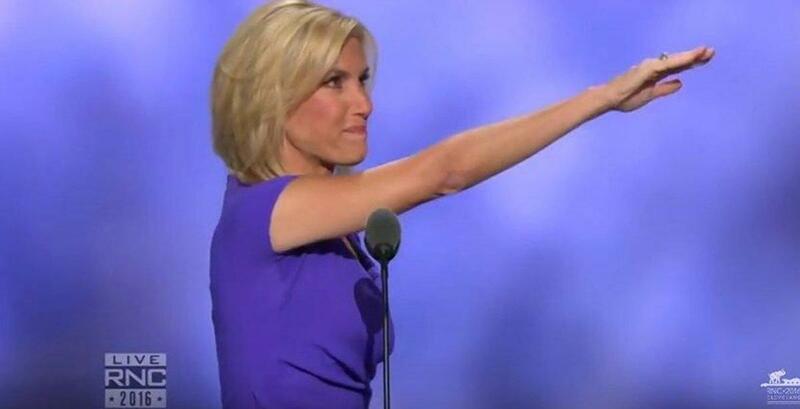 I am only pointing out how Laura has become so racist and hateful. You know, the "ole apple doesn't fall far from the tree." This is totally false rubbish! "rubbish"?????? Are you a different jojajn? I can and will easily look up the posts and paste links to them for all to see. YOU ARE A F.....IN LIAR! Either you apologize and admit your sh*t or I will post the links.